Because Social Science Informs Effective, Efficient, and Equitable Education Policies — Why Social Science? For example, researchers with the National Early Literacy Panel are discovering that early literacy is supported by oral communication, which, in addition to knowledge of the alphabet and word recognition, has led to improved student literacy in schools incorporating this awareness. Oral language is one of the three abilities present in the preschool years that provide the basis for later reading success. Take two children: Student A has strong word reading and lags in language comprehension, while Student B has strong language comprehension but lags in word reading. Current literacy programs focus on word reading in the early years of formal education, so they tend to miss students who are lagging in language comprehension at that stage—this lag would not typically be detected for another two years, when assessments shift to reading comprehension. So Student B is more likely to be able to catch up on word reading, while Student A may struggle to catch up with reading comprehension. Having identified the important role of oral communication, we have the opportunity to encourage parents and caretakers to read and talk to young children to prevent later delays in literacy. Have you ever heard someone claim that they simply aren’t good in math? That turns out not to be the real issue behind why some students excel at math while others struggle. Even very young children can understand complex math concepts. Rather, a major obstacle to success in math is simply the perception that one is not good at it. Not knowing this puts teachers in a position where they may take the wrong approach. No matter what new and innovative math instruction teachers develop, if students are convinced that they lack the capability to learn math, there is only so much they can accomplish without addressing the underlying doubt about their abilities. This is a problem with consequences beyond the math test. The United States is not currently producing enough graduates in science, technology, engineering, and math (STEM) fields to meet the demands of a technology-dependent society. Researchers are working to better understand math anxiety (i.e., negative feelings of tension and fear that many people experience when engaging in math) and its implications for math success and STEM engagement. Another example of assumptions revealed to be inaccurate by education research is the thinking behind decades of zero-tolerance school discipline policies. Research in this area by Russel Skiba has shown that not only do these policies fail to provide safe, productive, and equitable learning climates for all students, they actually place students at risk for further negative short- and long-term outcomes. In addition, such policies disproportionately affect students by race, class, disability, and sexual orientation, increasing the threat of the “school-to-prison pipeline” for some students. These unexpected findings are critical to more effective and equitable systems for keeping schools safe without sacrificing students. Studies of the impact of behavior and free will can be far more complicated than controlled experiments in other disciplines like chemistry or medicine. The causes are more difficult to isolate and measure, yet the results are just as important. Before educators can figure out how best to serve students, education researchers play a critical role in helping them ask the right questions. Working together, social and behavioral scientists have the tools and training to examine questions on a range of topics, such as how the brain works and develops, how emotions influence academic achievement, and how students react to discipline policies. Without the science behind learning and teaching, many of our policy makers and practitioners would be racing after seemingly promising practices without an accurate understanding of the problems that those practices were designed to solve in the first place. Why social science? Because social science informs effective, efficient, and equitable education policies. 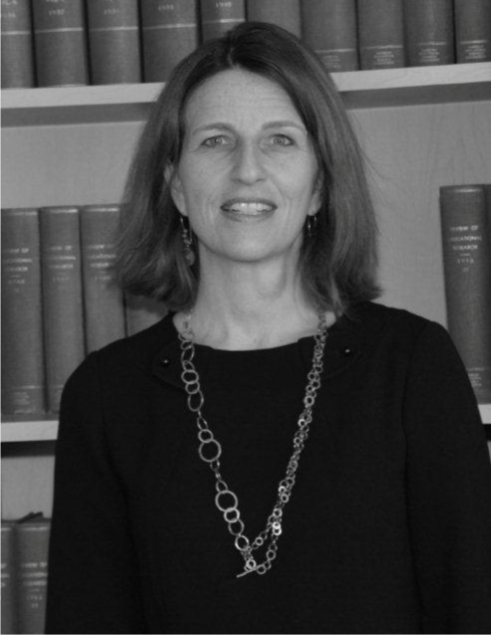 Juliane Baron is the Director of Government Relations, American Educational Research Association (AERA). She leads AERA's education and advocacy efforts on Capitol Hill and with federal agencies, serves as advisor to the executive director, and plays a strategic role with committees and coalitions that deal with research funding, research policy, and education. From 2006 to 2014, Baron served as deputy director of government and public affairs for the Population Association of America and the Association of Population Centers. Prior to that, she was deputy director of the Social Policy Action Network from 2001 to 2004 and director of the Population Resource Center from 2005 to 2007. For three years, Baron served as a legislative staffer in the Texas House of Representatives, followed by a two-year stint as associate research scientist and project manager of the Welfare, Families and Children: Three City Study, a multi-investigator study housed at Johns Hopkins University. Baron received her BA from the University of Wisconsin, Madison and her MPA from the Lyndon B. Johnson School of Public Affairs at the University of Texas. Her master's work focused on anti-poverty policies.